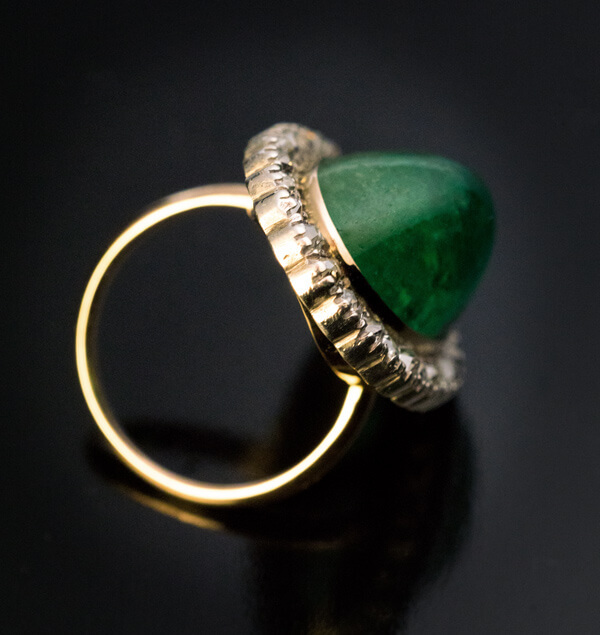 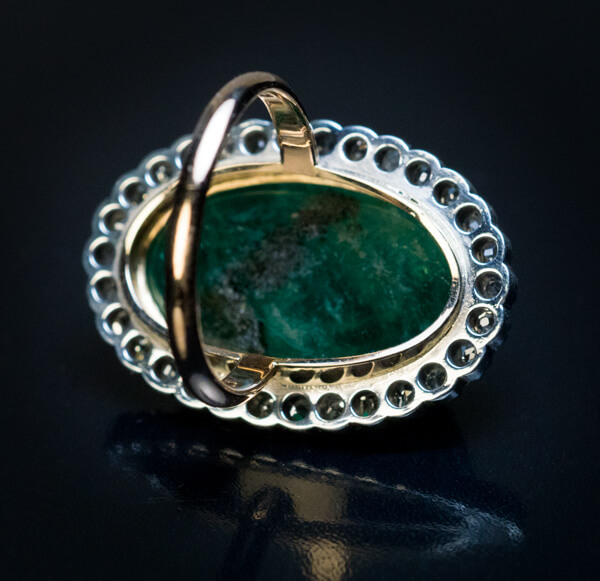 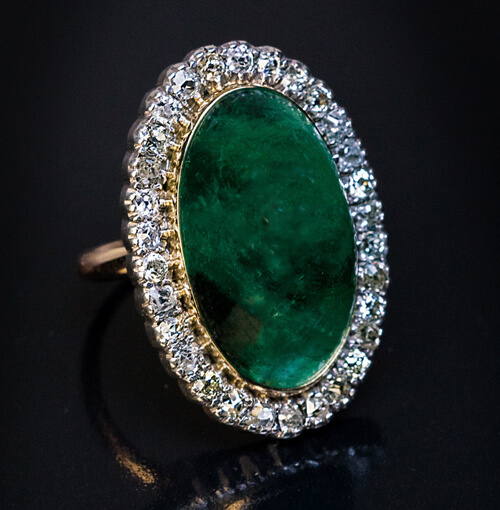 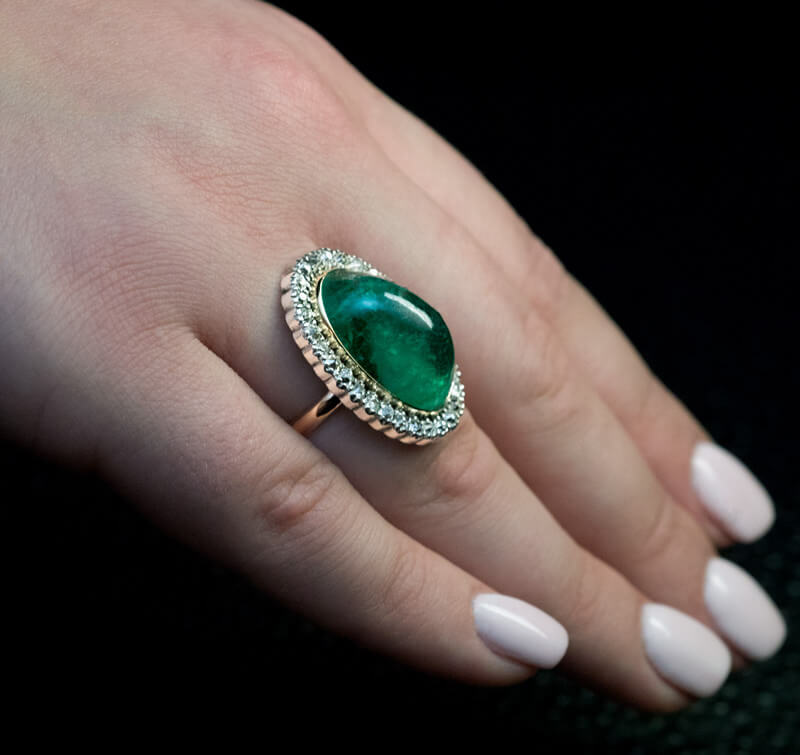 This antique ring from the early 1900s features a big cabochon cut natural emerald of a nice color surrounded by old cushion cut diamonds (H-I color, SI clarity) set in silver over 14K gold. 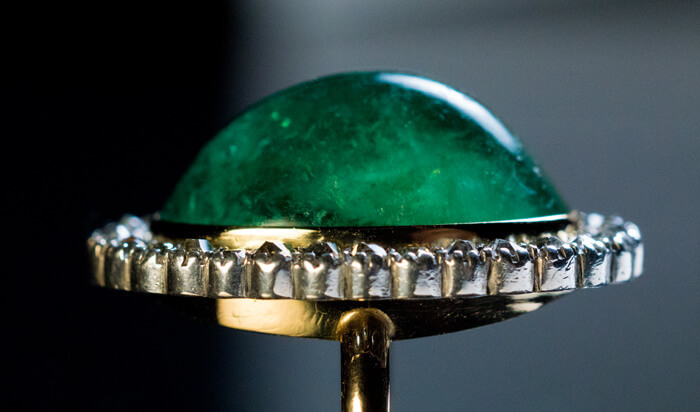 The emerald measures 21.2 x 13 x 9.3 mm and is approximately 19.17 ct. 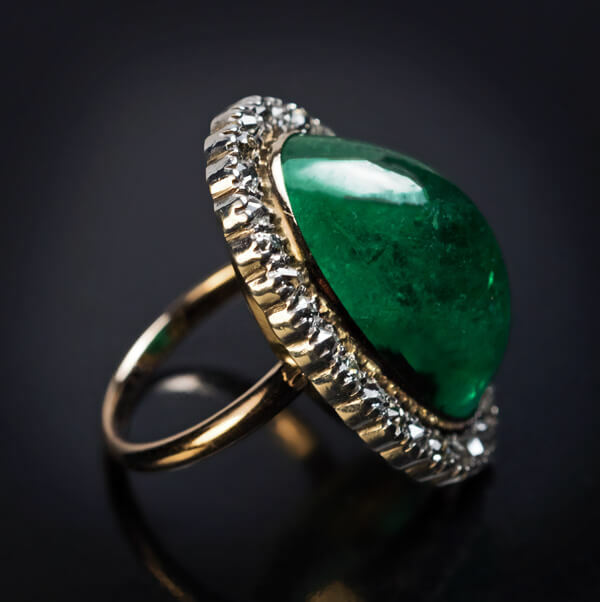 Estimated total diamond weight is 2.20 ct.